People may roll their eyes when the dentist reminds them to brush twice a day and floss once a day. In fact, some people will groan like an annoyed child who cannot sit still when hearing this. Fortunately, people can enforce a few simple at-home dental tips in their daily life to maintain a healthy smile. Here are some of those tips. Water is the most important beverage that all people need to drink on a regular basis. Water benefits the body's health along with the health of the teeth. However, water is also important for the mouth. Water moistens the mouth, stimulating the production of saliva essential for healthy teeth. Water is that much healthier and better for the teeth than sugar-laden sports drinks. By drinking plenty of water, it will be much easier to eliminate the sugar in the mouth that can form plaque. Failure to consume the proper amount of calcium and/or Vitamin D will also damage your oral health. Calcium is essential to maintaining strong and dense bones. People can obtain calcium through dairy products, nuts and leafy greens. However, the body will experience difficulty in absorbing calcium if the body does not have ample Vitamin D.
Thus, it is beneficial to try and get at least 20 minutes of sun exposure to your exposed arms, legs and face every single day. If you live in an area that receives little sun, take Vitamin D supplements to ameliorate the absorption of calcium and help improve your oral health. This is by far one of the most important dental health tips. Stick to your dental cleaning routine and it will be that much easier to maintain healthy teeth and gums. Do not skip a single flossing or brushing session. You should brush a minimum of two times per day. If possible, brush after each meal. Floss your teeth at least once. Ideally, this flossing session will take place after dinner. Try to clean your teeth early in the evening so you do not end up falling asleep in front of the computer or TV. 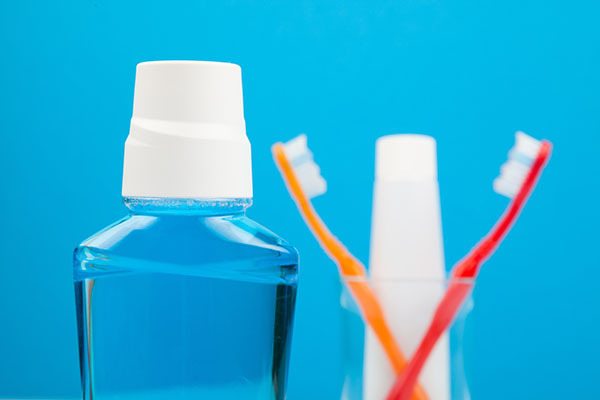 If you are groggy, you will be tempted to skip your oral health care routine. Sugar is your mouth's enemy. Avoid sugary indulgences and your dental health will stagnate or possibly even improve. If you treat yourself to something laden with sugar, wait about 20 minutes for your tooth enamel sensitivity to settle down before giving your teeth a thorough brushing. Otherwise, sugar left in the mouth will catalyze the formation of plaque. Starch is also a direct threat to oral health. Dentists agree starch-heavy foods are just as bad as sugar. Starch causes the bacteria in your mouth to generate acids. Foods like bread and potato chips will likely stick to your teeth and remain there for an extended period of time. Starch-heavy foods should not be consumed prior to turning in for the night, especially if you tend to rush through your nighttime cleaning routine. Your mouth's production of saliva comes to a halt while you sleep. If starch is present, it will cause considerable dental damage.